Knowing how to get approved for a luxury car loan is not that complicated. Many dealerships, however, seem to do their best to make it that way. The Audi El Paso Auto Financing Team is here to help break it down for you. If you're wondering how to get a new Audi or used auto loan, read on. Discover the top auto financing approval questions to ask your dealer. Can I Get Approved After Bankruptcy? Can I Get a Car Loan at the Dealership? Should I Apply Before or After Picking a Vehicle? How Do I Get Approved for an Auto Loan? Can I Get a Second Car Loan? Do You Finance Bad Credit? Can I Get an Auto Loan After Repo? Can I Get Approved For A luxury car Loan After Bankruptcy? Was the bankruptcy a Chapter 7 or Chapter 13 filing? Has the bankruptcy been discharged or are you still in bankruptcy? How was your credit history before filing for bankruptcy? If you do not have a letter from your trustee, you should obtain one. For a more detailed explanation of how you can get a post-bankruptcy car loan approval, we recommend taking advantage of our financing manager's auto loan expertise with a quick phone call to (833) 804-1496. There's no one better equipped to help you find the best ways to get approved, even after bankruptcy. Can You Get A Car Loan At The Audi El Paso Dealership? Absolutely! Our Audi financing team in El Paso is on site to help you with everything you need to finance your vehicle. In addition to their expert knowledge of all of the different financing programs and options, they have an extensive network of auto lenders, such as banks and credit unions. They are perfectly equipped to provide you with everything you need to finance your new vehicle. Should I Apply For a luxury car Loan Before or After Picking Out Vehicle? Do you want to be pre-approved for a specific dollar amount? Or are you looking to finance dream car. Whichever you prefer, our Audi financing team is ready to help you throughout the process. Getting approved for an auto loan takes a lot of factors into consideration including your credit history report and your annual/monthly income. While there is not a one-size-fits-all process that will guarantee auto loan approval for everyone, these preparation steps can lower the difficulty level of the approval process. What Do I Need To Bring With Me To Get Approved For A Car Loan? These are general documentation requirements. For answers more specific to your circumstances, call one of our team members. We're more than happy to answer all of your questions and concerns as accurately as possible. Will Audi El Paso Approve Me For a Second Car Loan? For more details, we recommend contacting the dealership financing manager to discuss specifics unique to your circumstances. Does Audi Finance Bad Credit? Yes. It's actually easy to get approved through our finance programs. Most car manufacturers are eager to help their customers build or rebuild their credit by offering financing programs and deals exclusively through Audi dealerships. Can I Get Approved For A luxury car Loan If I'm Self-Employed or 1099? Absolutely! Audi El Paso helps secure these types of loans all the time. If you are self-employed or an independent contractor (a '1099 employee'), all you'll need to bring as proof of employment is the last three months' of bank statements, the last two years of income tax returns, and your government issued ID. I'm A First Time Car Buyer, Do I Need A Co-Signer? Co-signers are not mandatory for first-time car buyers. It really all depends on your credit history and income. That said, it's never a bad idea to have someone in mind as a co-signer in case you do need one. Can I Get A Car Loan After a Repossession? You may be surprised by this answer, but in most cases, it is possible to get approved for another car loan after you've had a repossession. You'll most likely need a co-signer or a substantial down payment but there are always options for auto loan approval, even after a repossession. For more details, speak to one of our auto financing managers. Visit our Audi auto loan financing department in El Paso today to ask all your questions in person. 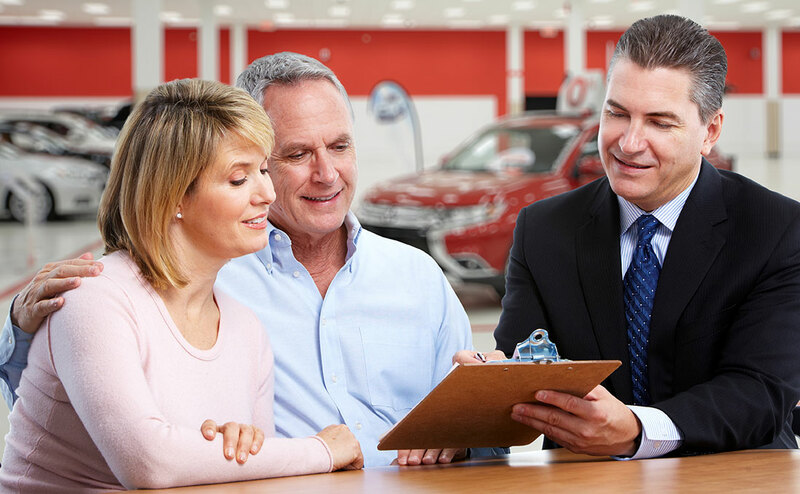 Our team of Audi financing specialists is dedicated to helping customers better negotiate the approval process. To learn more, apply online, call, or visit today.